iPad 2 and iPhone 5: What's Coming? I chuckled at Apple’s explanation yesterday of its tablet sales coming up short of expectations: “We can’t make them fast enough,” Apple’s COO Tim Cook said during an earnings call with analysts. Were he speaking for any other company, his statement would have smacked of PR bluster, but Cook meant it literally: Apple’s suppliers can’t make the components for the iPad 2 as fast as Apple can sell the device. Apple has sold more than 12 million iPads already this year, and believes it can sell 40 million of the devices by year-end. Meanwhile, Samsung has downgraded its 2011 Galaxy Tab sales estimates from 10 million to 6-7 million. We hear that sales of the much-anticipated “iPad killer”, the Motorola Xoom, are dismal so far (100,000 units since its launch in February). RIM’s Playbook may have a better chance against the iPad--RBC Capital Markets says 50,000 of them sold on opening day--but it’s still too soon to make any rosy projections. RIM's PlayBook: Tablets' Great White Hope? It should be obvious by now that the market wants iPads, not other kinds of tablets. It’s the iPod all over again, as Ed Albro rightly points out in his April 17 blog. What is it that has prompted all those iPad buyers to make the decision to buy? It wasn’t the form factor of the device that drew them to it. Were these buyers thinking “hmm, I need a computing device that’s bigger than my iPhone yet more portable than my Macbook Pro”? I doubt it. 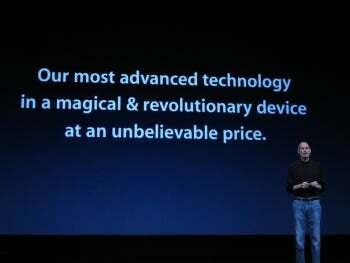 The iPad is selling well because of the Apple-ness of it, not because of the tablet-ness of it. What is Apple-ness? To my thinking, it’s two things—the actual products, and the powerful bubble of excitement Apple’s marketers are able to create around the products. Apple seems to have captured something with the iPad that is far more than just a tablet-shaped computer. They hit upon some “X factor” in the combination of the pleasing physical design of the iPad, and the simple, intuitive and pleasing look-and-feel of a user interface. This X-factor, whatever it is, will be very hard to duplicate by companies that aren’t Apple. Other companies will build products to compete with it, but they’ll never manage to build anything that comes close to what consumers see as the real thing. In fact, I’m not sure that tablets will ever be a space where numerous brands with strong product offerings will constantly fight it out for market share. The “front-runner and also-rans” dynamic will always exist. And it’s not just the actual device that sets the iPad apart. Part of the iPad’s wild success is because of the way Apple talks about the product. Apple has a knack for creating huge buzz around its products, but in the iPad’s case I don’t think it’s right to call it the “reality distortion field,” as some (including me) have suggested in the past. The marketing around the iPad doesn’t misrepresent the capabilities of the product, it just has a way of distracting people from the question of whether they really need the thing or not. Instead we get swept away in the coolness of the product and the excitement of the launch. And there’s something more, something deeper, too. Apple makes products that project some idea, some image of what many people aspire to be (or be seen as)--hip, affluent, tech-savvy, forward-thinking. It almost worked on me. I came very, very close to buying an iPad, despite the fact that I have no real need for one. All it took for me to seriously consider buying one was a visit to the Apple Website, where I looked at glamour shots of the cool-looking device and watched some really convincing videos. And I’ll admit that I saw some apps (like gaming, mapping and video) that I really think may work better on a tablet than other bigger or smaller devices. But I realized that I wouldn’t want to use those apps on just any kind of tablet—I wanted to use them on an iPad. The media, whether we like it or not, do our part to amplify the buzz. We have to, because people want to read about Apple stuff. So they do. And they talk about it. Interest grows. We write more stories. The cycle continues. I have no idea if the tablets we’re seeing on the market today will be widely used five years from now. Some people seem certain that the tablet will be around for a long time, but most of those people are iPad owners. I believe we’ll only know for sure when all the buzz around the iPad has worn off and we can judge by how useful it really is on a day-to-day basis. I wouldn’t be surprised if the iPad is used for a long time to come. But until the companies that are making competing tablets learn to bake their own magic into their products—their own X-factor—there will be no real “tablet space”, only an iPad space.